​Our Collateral practice specializes in designing collateral solutions to maximize collateral utilization, operational efficiencies and regulatory compliance. We provide industry best practice reviews, software selection and implementation services, collateral optimization and inventory management guidance and bespoke workflow solutions with an aim to reduce costs, mitigate risk, enable growth, and maintain compliance with an ever changing and often uncertain regulatory environment. Our team brings a unique perspective from previous experience running collateral management departments, developing and implementing collateral management software and advising clients on the optimal solution to meet their business challenges. 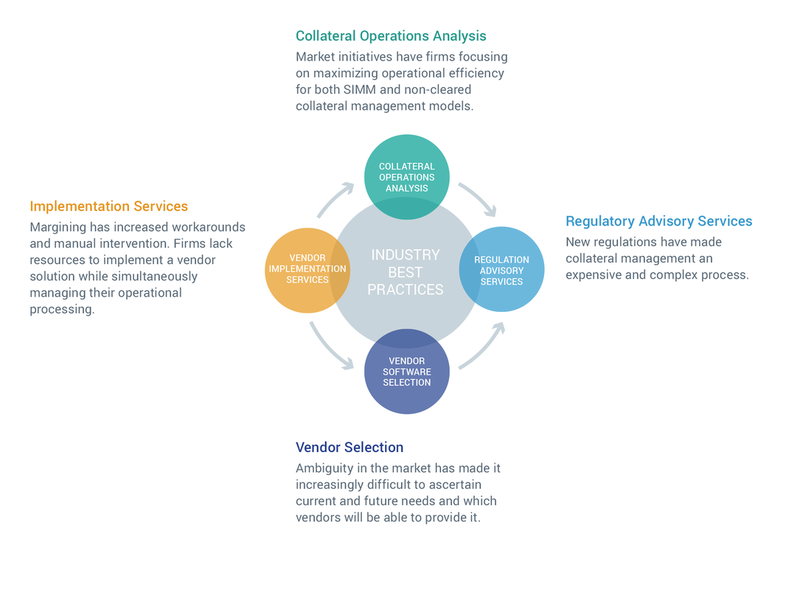 Click on link for more detail in one of the areas below: Collateral Operations Analysis, Regulatory Advisory Services, Vendor Selection or Implementation Services.